I Received the information below from a breeder who came across it on a breeder group list – I’ve been busy and not had chance to catch up with the list postings. 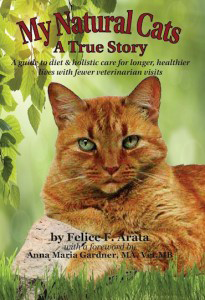 Please pass it along to anyone you know with cats and to your veterinarians. It is also a good idea if you have dogs and livestock to pay attention more in the future also after vaccination. Remember to report any and all vaccine reactions to your vet! And then report them to the FDA yourselves as it is common for veterinarians to “forget” or brush it aside. If there is no records of adverse vaccine reactions, they will just say it is likely an isolated incidence so please report them. It is to the benefit of your animals as well as others. Those responsible should be held accountable when a valuable animal is lost. Also, if you must vaccinate, please ask for non-adjuvant vaccines as they are far safer than typical conventional vaccines. Most vaccine makers offer them and many vets are using them now, just ask ! And double check with your vet to be sure – look up what they are using for your own peace of mind or call the manufacturer. I also ask my kitten adopters before any future vaccination, to ask for an immunity titre test (not the disease titre test). Many animal owners are able to avoid vaccines for many years using this test as it can show if your animal has sufficient immunity. Some animals may show a low titre but that may not mean they have a weak immunity, could just be their body is different. Nonetheless, it is worth doing to avoid unnecessary vaccination and the health issues they cause. Please learn about vaccinosis (vaccine induced reactions) and immunity titre testing, and implement it, for the health of your animals. I have no doubt many of the vaccines that contribute to cancers, seizures, aggression, etc. also cause cardiomyopathy (deterioration of the function of the heart muscle) and other heart issues as even the human smallpox vaccine was banned after it was found to contribute to heart problems. If you have learned about homeopathy – and use the correct remedy with an animal immediately after a vaccine (including non-adjuvant vaccines as they may be safer but still a risk) to ward off potential side effects, you have a better chance of avoiding something like this. Self education is empowerment. There is nothing out there you cannot learn.